Dr. Little is the Deputy Director of the Center for Addiction and Prevention Researcher and Assistant Professor at the University of Virginia. She is currently located at the 59th Medical Wing, Lackland AFB, Texas where she oversees six large National Institutes of Health grants focused on tobacco cessation, substance abuse prevention and weight reduction. 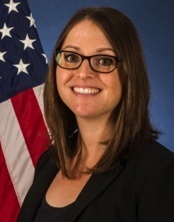 Dr. Little is responsible for all grant operations on military installations ensuring both quality research and respectful collaboration with the Air Force.